The world's first live trial of interactive mobile TV has doubled the average time viewers are using the mobile TV service. The trial was conducted by Ericsson (NASDAQ:ERICY) and the Norwegian Broadcasting Corporation (NRK). The nine-week trial has shown that, on average, users of interactive TV watch mobile TV for more than five minutes each session, which is double that for regular mobile TV viewers. Twenty percent of the users participated in the interactive TV-format "Svisj" every day. The results demonstrated that this new way of using mobile TV is an attractive option for both mobile phone users and broadcasters. Together, Ericsson and NRK launched a downloadable client for the existing interactive TV format, Svisj, in November. 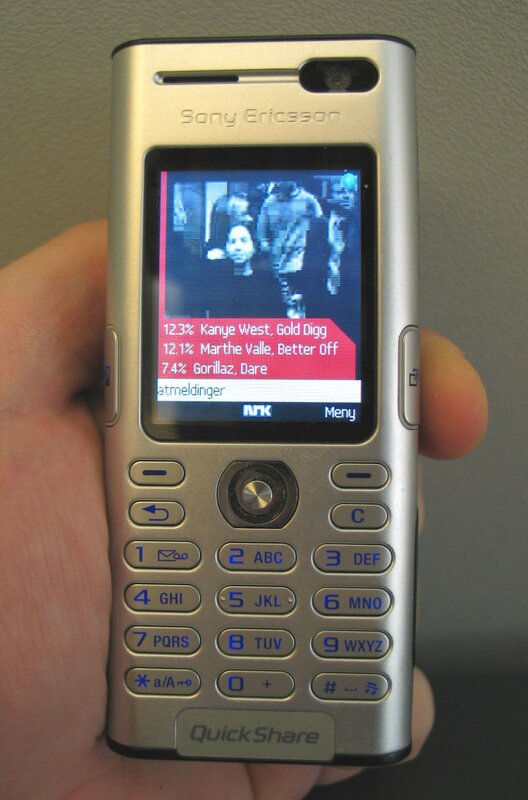 It has enabled viewers to vote for which music video they want through the touch of a button, and to chat with the host or other viewers - all at the same time, and all on their mobile. Gunnar Garfors, Director of Mobile Services, NRK Development Division, says: "This initial test shows potential for expansion. We gave our viewers a grape and they want a pineapple! They value easy and personalized communication highly, so new concepts are in the pipeline." Kurt Sillén, Vice President, Ericsson Mobility World, says: "Interactivity contributes to a richer mobile TV experience for users. It builds on their existing behavior and makes mobile TV an even more attractive entertainment option." The new, interactive mobile TV application is an end-to-end solution based on existing technology, which enables mobile phone users to watch streamed TV programs live and at the same time interact with the show. The interactive mobile TV application was developed in cooperation with two Ericsson partners, conVISUAL and Communology. NRK is the biggest media company in Norway, with a number of national TV and radio channels, as well as major web and WAP sites. Since 2000, the public service broadcaster has been a leader in mobile content and interactive services in Europe.